Using the Heritage Lottery grant awarded last December, Saltaire Stories has appointed consultants to advise on our plans for increasing public use of the Saltaire Archive. Many boxes of material in the new Saltaire Archive Room at Shipley College have been carefully checked in recent months by a dedicated team of volunteers. Katharine Carlton and Sophie Adamson will lead an 18-day Archive Consultancy, working with volunteers to “map” educational themes within the Archive and to develop a long-term plan for archive care. They will assist the volunteer team to build up essential skills to manage the Archive as a learning resource. Once the mapping exercise is underway, Peter Ralley and Allan Randall will begin a 16-day Education Consultancy. They will match key themes in the Saltaire Archive with aspects of the national curriculum and areas of study in further, higher and informal education. The result will be a strategy for use of archive material both on-line and when people visit Saltaire. Would you like to work with Saltaire Stories? Thanks to the support of the Heritage Lottery Fund, we have the opportunity to offer two exciting consultancy roles to help us realise our ambitions for Saltaire Stories. We are seeking to appoint both an Archive specialist and an Education specialist. Full details can be found on the attached documents below and submissions of interest must be recieved by 5pm on Monday 29th February. 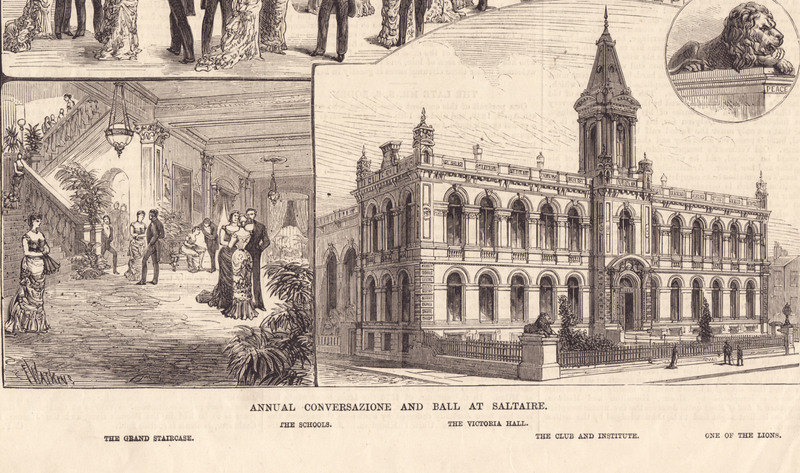 For further information please do get in touch at saltairestories@gmail.com, we look forward to hearing from you. Thanks to National Lottery players, the project will make the Saltaire Archive much more accessible to all visitors and learners interested in Saltaire’s history. HLF support in 2016 will enable the project to appoint an experienced archivist to map the Archive and identify key learning themes – supported by a fantastic group of volunteers. Working alongside the archivist and volunteers, an experienced educator will assess the curriculum and learning opportunities for students within primary, secondary, further/higher and informal education. 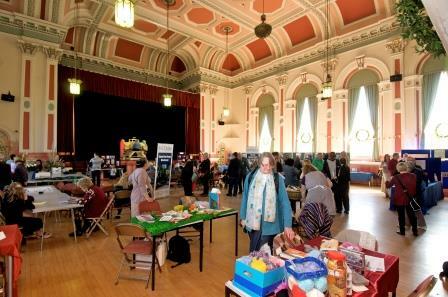 Development funding from HLF of £11,700 has been awarded to help SWHEA / Saltaire Stories to progress their plans to apply for a full grant at a later date. 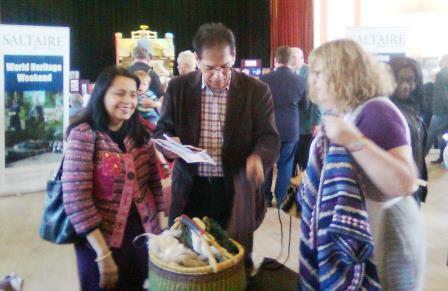 This website was launched by the Saltaire Stories team at the Conversazione on 18th April 2015. That historic event (the first conversazione at Victoria Hall since 1964!) was co-ordinated by Saltaire Stories. 1105 people enjoyed a unique mixture of history, art, science, crafts, and entertainment. The conversazione tradition begun in 1878 was well and truly revived, whilst also updated to be more varied and inclusive. Over 100 volunteers took part, individually or in groups running stalls. 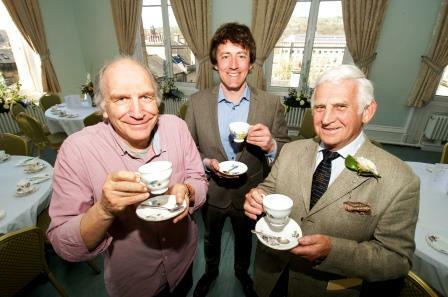 High Tea speakers Nick Salt and Jamie Roberts with MC Brian Woolley. 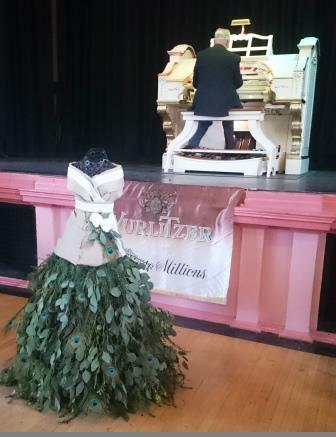 Saltaire Archive display, craft activities, and Wurlitzer music. Floral mannequin (created by Shipley College students). 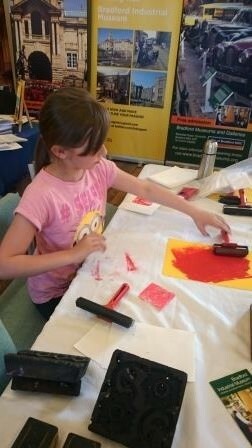 Woodblock rubbing/printmaking with Friends of Bradford Art Galleries and Museums. 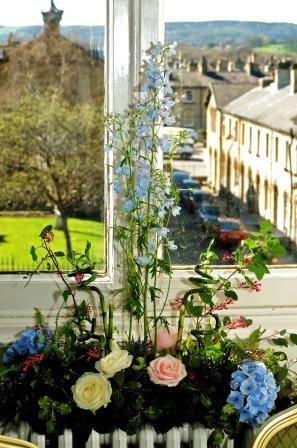 Floral decoration by Shipley College students.